Rayman Origins is probably one of my favorite platformers, and definitely one of the best games I played this year, but it doesnt really count as retro. Its a shame a lot of people put it on their backburner simply because of the timing of its release. Rayman and Crash Bandicoot on PSX were both good, while on the N64, Mario 64 started a trend that moved what was traditionally platforming into something closer to Adventure, making it hard to classify games like Banjo-Kazooiee and Donkey Kong 64. The SNES was mostly dominated by Mario and Kirby, but there was also a neat gem called Act Raiser that combined elements of town building and strategy with platforming. yeah, Rayman origins fullfilled it's promise for me and more. It was absolutely brilliant. So much fun. Any tips for Land of the Livid Dead? It's driving me crazy; I haven't been able to get more than 30 seconds in and there's no end in sight, unlike the Skull Tooth levels that were like that. In post 125, UltimaAvalon wrote: Rayman Origins is probably one of my favorite platformers, and definitely one of the best games I played this year, but it doesnt really count as retro. Its a shame a lot of people put it on their backburner simply because of the timing of its release. The original Crash Bandicoot and Spyro games were easily the best games of their time, the quality in their games has sadly gone down since Twinsanity/Wrath of Cortex and Year of the Dragon respectively. I had Donkey Kong Country 2 on the GBA and I didn't find it all that great. In post 136, Om of the Nom wrote: I had Donkey Kong Country 2 on the GBA and I didn't find it all that great. JDodge is right. DKC trilogy are among the best snes platformers. 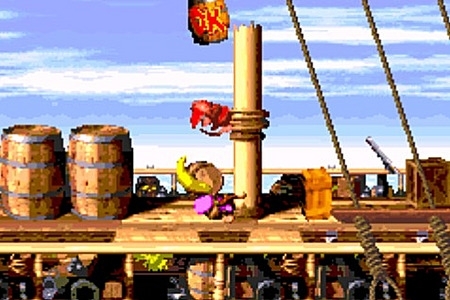 These on the whole severely, severely harmed the games to make them just another platformer - part of the reason why the DKC games were so good was their amazing atmosphere. The things they added (a few bonus levels, a boss, etc.) to the GBA version are not worth it for how much of the experience is damaged. For me it's not because of the worse graphics or the worse music, it's just the fact that I don't like the gameplay. Also the music style itself isn't really my cup of tea. I'd rather Super Mario World over Donkey Kong any day. 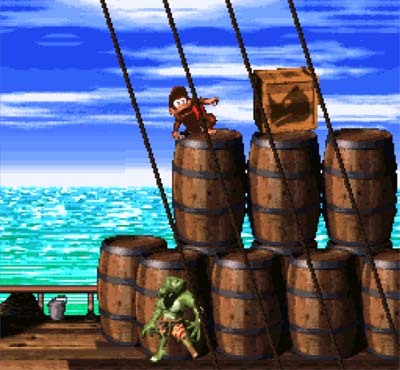 DKC2 on snes had really awesome graphics. that may have been one of the first times that a console looked better than some computer games of the time. In post 140, Om of the Nom wrote: For me it's not because of the worse graphics or the worse music, it's just the fact that I don't like the gameplay. Also the music style itself isn't really my cup of tea. I'd rather Super Mario World over Donkey Kong any day. The issue is that the gameplay always was (being entirely honest) just an average platformer, but the atmosphere of the games themselves more than made up for it. This might be really old but did anyone here play Hocus Pocus when they were younger? Heard of the game. Never played. Just had a great idea. Would anyone be interested in a colonization (maybe free col if you are idealistic and hate abandonware), or a civ 1 succession game? Does DOSBOX have to be run off your primary drive? nope. What OS are you using? What game are you trying to play? If windows vista, 7, or (presumably) 8 DOSBOX must NOT be in a "program files" directory.